I realized I have never talked about my netbook build. I waited to get into the netbook market until something existed that I could actually use. Keyboard size was a big issue for me as well as general aesthetics. 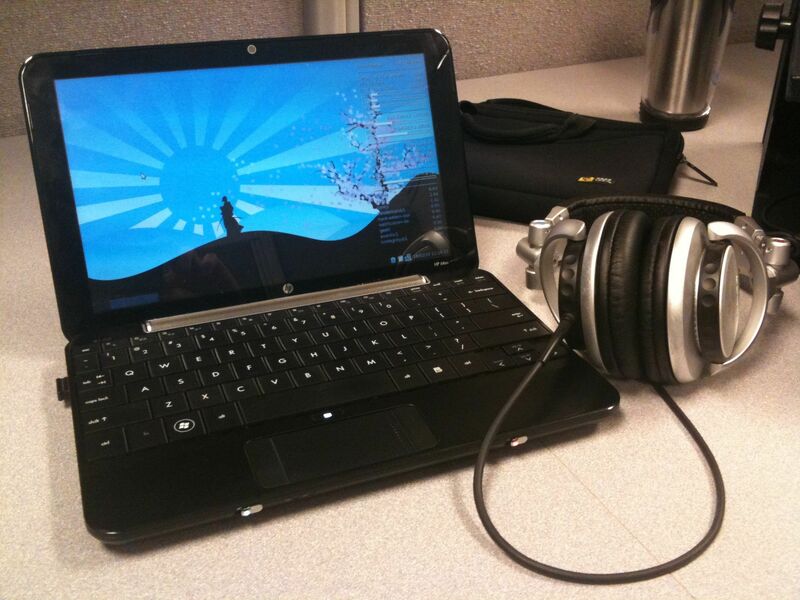 The HP Mini 1030NR fit the bill and made a custom build with Linux on the SD card and Windows 7 on the main HD flash. An 8GB SD Card provides the second boot into the world of Linux, specifically Crunchbang Linux which is a minimalist version of Ubuntu that uses OpenBox as it’s window manager. I used the usb install which is light on the writes to disk, yet still maintains everything. The install is nice and light for the netbook, which is exactly what I needed. My only gripe with the netbook category in general is the poor vertical pixel resolution which seems stagnant at 600. For internet browsing, 768 should be the minimum. The ability to switch among four screens with Crunchbang’s virtual desktop is essential for such a tiny screen. My battery on the HP Mini is showing its wear. I get about two hours of life. I currently use the netbook as my web development platform. It runs LAMP like a champ and I can incarnate my current web exploits locally. It’s easy enough to install anything I need in Linux (although the Chrome deb hit a hiccup complaining about it’s USB/persistence environment). I’ll probably have to wait until Chromium is fully pushed down the repositories to make that work, but by then I’ll have moved on to my next netbook.